Our own Thom Powers and Raphaela Neihausen selected the film as WNYC’s Documentary of the Week, while, at indieWIRE, Anthony Kaufman wrote a piece that questioned whether or not The LOOK OF SILENCE has already claimed the title of Best Documentary of the Year. Adding critical depth to the conversations surrounding Oppenheimer’s latest, Flavorwire’s Jason Bailey, LA Times’ Janet Kinosian, and Movie Mezzanine’s Jake Cole each wrote lengthy reflections on the film. Eric Hynes also composed some astute thoughts on the film at Reverse Shot, as did Tony Pipolo at Artforum and Dana Stevens for Slate. Writing at Doc Soup, Tom Roston recommended some things to watch before seeing Oppenheimer’s new film, while Joshua Brunsting reviewed the film for Criterion Cast and Glenn Kenny did the same for RogerEbert.com. Oppenheimer himself has been on the press tour, speaking with everyone under the sun including indieWIRE’s Ryan Lattanzio, The L Magazine’s Elise Nakhnikian, Jamie Maleszka for Nonfics, and even me, for IONCINEMA. Rounding out the film’s coverage, Sight & Sound published a piece by Robert Greene comparing the politically motivated filmmaking techniques of Joshua Oppenheimer and Adam Curtis. Crystal Moselle’s unbelievable Sundance Grand Jury Prize winner THE WOLFPACK is undeniably the most talked about doc of the year thus far. Hitting theaters this past weekend, the film was not only selected by our own Thom Powers and Raphaela Neihausen as WNYC’s Documentary of the Week, but featured in the LA Times by Steven Zeitchik, Huffington Post by Matthew Jacobs, the Wall Street Journal by Caryn James, Salon thanks to Lauren Wissot and The New York Times by Cara Buckley. Manohla Dargis also reviewed Moselle’s film for The Times, as did NPR’s Ella Taylor, NY Daily News’ Joe Neumaier, RogerEbert.com’s Brian Tallerico, The Dissolve’s Tasha Robinson and Ned Benson at The Talkhouse. At Indiewire, Anne Thompson and Ryan Lattanzio posted a new video of the film’s subjects, the Angulo Brothers, remaking classic DeNiro scenes, while Simon Houpt spoke with two of the boys for The Globe and Mail. With all the attention, it’s unsurprising to find Moselle has been doing interviews with everyone, including Jenelle Riley of Variety, Jamie Maleszka at Nonfics, The Dissolve’s Tasha Robinson and Vice. This last week also saw two substantial new entries into the doc world. The Wrap’s Itay Hod and Bent’s Jamie Gates both reported that Logo TV is launching an LGBT documentary division with a slate films that include Michele Josue’s MATT SHEPARD IS A FRIEND OF MINE and Deborah Riley Draper’s VERSAILLES ’73: AN AMERICAN REVOLUTION. Likewise, Economist Magazine has kicked off a new documentary unit, Economist Films, according to Variety’s David S. Cohen. Starting big, they’ve already posted a pair of films for viewing in DRONE RANGERS and DRUGS: WAR OR STORE?. The documentary THE INVISIBLE WAR won this year's Emmy for best documentary. This week the news and documentary Emmy awards were announced. Craig Phillips of the Independent Lens blog noted that its show took home three Emmys, while POV garnered one, according to its website. Writing for Realscreen, Kevin Ritchie also covered the awards, as did Esther Zuckerman of Entertainment Weekly. The Camden International Film Festival named the winners of its awards, with the Harrell Award for Best Documentary Feature going to VIRUNGA from director Orlando von Einsiedel. Zach Sharf of Indiewire also had coverage of the awards. Also for Indiewire, Eric Hynes covered a panel discussion among film programmers held at CIFF, while Sam Adams wrote up a CIFF master class from director Marshall Curry. Over at The Atlantic, Andrew F. March wrote a piece on whether the recent Vice doc on ISIS violated U.S. laws forbidding the support of terrorist organizations. This week Stranger Than Fiction is hosting a screening of 65 REVISITED, a film by Chris Hegedus, D.A. Pennebaker and David Dawkins that pulls together unused footage from the Bob Dylan doc DON’T LOOK BACK. The film is screening with the short SHAKE – OTIS AT MONTEREY on Tuesday, October 7 at 8 p.m. at the IFC Center in Manhattan and will feature a Q&A with special guests following the film. For more information or to purchase tickets please go here. The film SUNSHINE SUPERMAN about BASE jumping was picked up by distributors after screening at this year's TIFF. This week TIFF dominated documentary news. 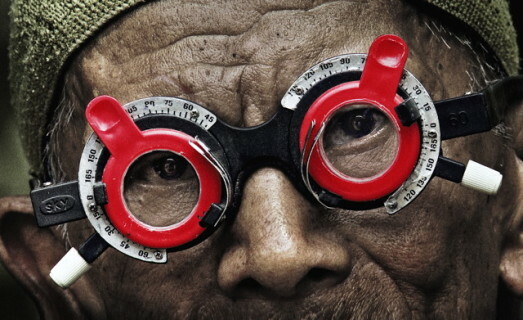 Scott Feinberg of The Hollywood Reporter wrote on the screening of THE LOOK OF SILENCE, director Joshua Oppenheimer’s follow up to THE ACT OF KILLING. Manori Ravindran of Realscreen had the news that Cinephil had inked a number of international distro deals for the film. And Variety shared a video interview with Oppenheimer. Director Michael Moore made waves by issuing a documentary filmmaker manifesto in a keynote speech that Indiewire reprinted in its entirety. Sam Adams also interviewed Moore in a piece for Biography. Indiewire’s Paula Bernstein reported that CNN Films and Magnolia Pictures had partnered to acquire SUNSHINE SUPERMAN from director Maria Strauch. The Hot Docs festival also used TIFF as a launching pad for its new report on learning from documentary audiences; Kevin Ritchie of Realscreen reported on its release. Realscreen provided an astounding amount of coverage of the festival. Adam Benzine reported on Martin Scorsese’s Q&A following the screening of his documentary THE 50 YEAR ARGUMENT at TIFF. 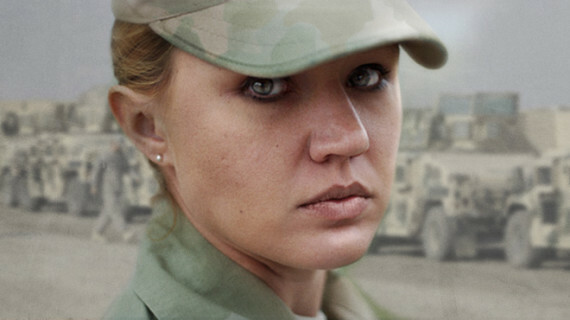 Nick Krewen spoke with THE PRICE WE PAY filmmaker Harold Crooks about his new film. Kevin Ritchie talked to Steven Markovitz, uncovering five tips for finding a coproduction partner. Manori Ravindran covered a panel talk from Marc Schiller of Bond Strategy and Influence. Kevin Ritchie covered the screening of the new Nick Broomfield film TALES OF THE GRIM SLEEPER. Adam Benzine also reported that HBO had purchased U.S. television rights for Broomfield’s film. Manori Ravindran spoke with directors Amer Shomali and Paul Cowan about their film THE WANTED 18. At Indiewire’s Thompson on Hollywood blog, John Anderson listed the best docs at the festival with about three days left. Stranger Than Fiction announced its lineup this week, with the coming fall season dedicated to the works of filmmakers Chris Hegedus and D.A. Pennebaker. “This is the first time STF has ever devoted a full season to one filmmaking team,” said Artistic Director Thom Powers. “It spans over 50 years of time and traces the history of modern American documentary making.” The season officially kicks off on Sept 23 with TOWN BLOODY HALL (1979), the first collaboration between Pennebaker and Hegedus, about a raucous debate over women’s liberation moderated by Norman Mailer with Germaine Greer. For more information on the season, or to purchase tickets, please go here. Also, a reminder that Stranger Than Fiction will feature a pre-season special screening of the film BRONX OBAMA by filmmaker Ryan Murdock about a Barack Obama impersonator living in the Bronx on Thursday, Sept. 18 at 8 p.m. at the IFC Center in Manhattan. For more information or to purchase tickets please go here. A special note this week that Ameena Matthews, one of the subjects from the film THE INTERRUPTERS, was recently diagnosed with bone marrow cancer. Matthews desperately needs an immediate bone marrow transplant. A community of friends has established a crowdfunding page to help Matthews, who lacks insurance, to pay for her lifesaving treatment. You can find out more about the campaign and donate here. Joshua Oppenheimer's new film THE LOOK OF SILENCE reached screens at a handful of film fests this week. THE LOOK OF SILENCE, director Joshua Oppenheimer’s highly anticipated follow up to THE ACT OF KILLING, screened last week at the Venice International Film Festival, the Telluride Film Festival and the Toronto International Film Festival (TIFF). At Realscreen, Adam Benzine reported on the film winning the grand jury prize at Venice. Writing for Cineuropa, Domenico La Porta reviewed the film, as did Guy Lodge at Variety. UK distributor Dogwoof also announced that it had acquired distribution rights for the film in Great Britain. This week the Toronto International Film Festival kicked off. The folks at the Freep Film Festival interviewed TIFF doc programmer (and STF Artistic Director) Thom Powers, as well as filmmaker Michael Moore, in their latest podcast. Realscreen’s Manori Ravindran also spoke with Powers for a piece covering the festival, while Basil Tsiokos shared an overview of the festival’s doc lineup at his What (Not) to Doc blog. In distro news, Manori Ravindran of Realscreen reported that HBO had snagged U.S. and Canadian TV rights for Alex Gibney’s new James Brown doc, MR. DYNAMITE: THE RISE OF JAMES BROWN. Deadline’s David Bloom also reported on the development. Realscreen colleague Adam Benzine had the news that Universal Pictures International Entertainment had picked up international rights for SUNSHINE SUPERMAN, while Jennie Punter of Variety had the same news. Stranger Than Fiction is hosting a special preseason screening of BRONX OBAMA from director Ryan Murdock on Thursday Sept. 18 at 8 p.m. at the IFC Center in Manhattan. The film tells the improbable story of a Barack Obama impersonator living in the Bronx. Following the screening, Murdock and subject Louis Ortiz will be in attendance for a Q&A. For more information and to purchase tickets please go here.